Sometimes, Windows 10 update may fail by showing you an error code. This article is about how to fix update error 0x800705b4 which has been a widespread problem in recent days. In fact, This is not a big problem. You can get rid of it easily. To troubleshoot this update problem, you have several options in hand. You can try them. Hopefully, One will work for you. 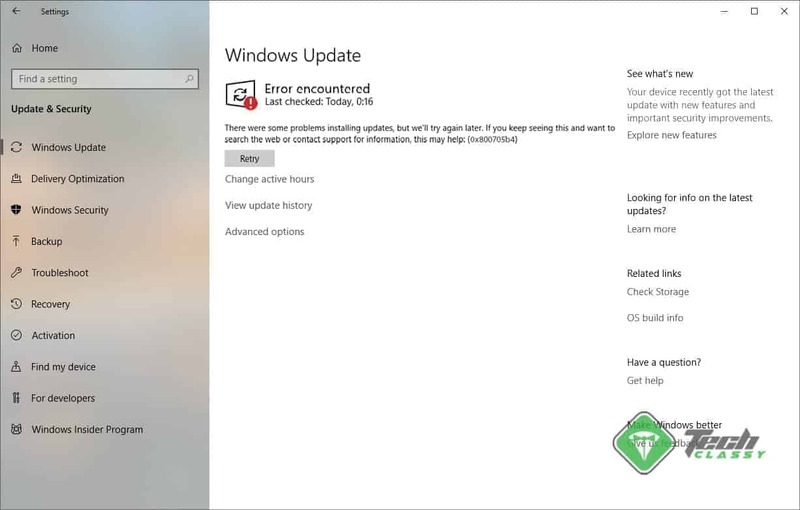 By the way, Here are the most effective methods to solve windows update error 0x800705b4. Whenever this type of problems appear, Windows update troubleshooter should be the primary option. In many cases, It can fix your problem. If you don’t know how to use it, follow these instructions. First of all, Press Win + I on the keyboard. It will open the settings. Now, Go to Update & Security > Troubleshoot. You should see the “Run the troubleshooter” button. Just click on it. After that, Follow onscreen instructions. 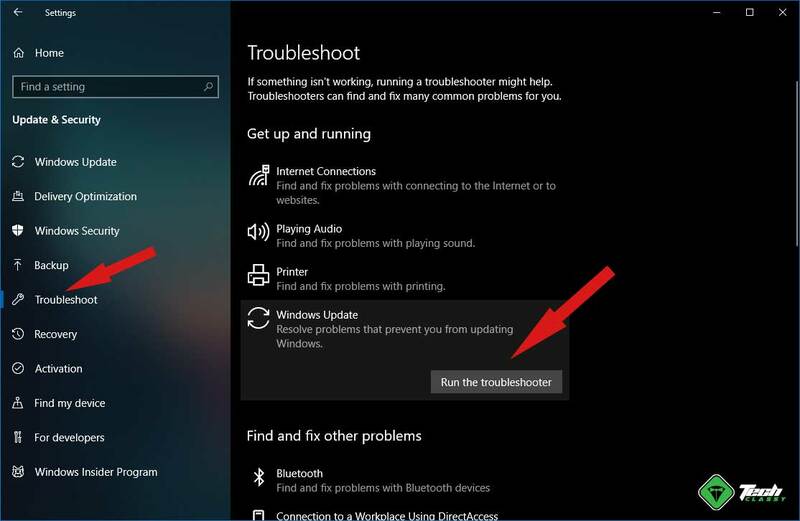 Windows should automatically attempt to resolve update error 0x800705b4. Some people reported this weird method worked for them. You can change a small setting to get rid of this error. If you are lucky, it may work. Here are the instructions. At first, Go to Settings > Update & Security. Then, Enable Give me updates for other Microsoft products when I update Windows. Restart your computer and see if it has fixed your problem. It is one of the most working methods to fix update error 0x800705b4 and any other similar problems. These two mentioned folders contain important update related files. These may become corrupted for any reason. As a result, Users face problem during windows update. So, You should reset these folders to get rid of your problem. After doing these things, you can check for update again. If everything goes well, you should not encounter that error code again during update installation. Third-party antivirus and firewall are known to create various Windows update related problems. Especially, These may cause Windows Defender update issues. In this case, To troubleshoot error 0x800705b4, you should disable any third-party antivirus, firewall or security programs installed on your PC. This problem can be related to the Windows Defender. So, You also should check if Windows Defender services are active on your PC or not. To do it, you can follow these steps. Now, Type the following commands to verify if the services are active. If you see these are not active, you can run the following commands to activate these services. After activating these services, try to update windows again. It may resolve update error 0x800705b4. Maybe, Any of the services active in the background is interfering the Windows update process. As a result, You have been encountering problems. So, You should perform clean boot and then try to update and see what happens. Still encountering the problem? You can try this method. It is actually the final solution for most update related problems. Let’s see if it fixes your problem too. You can reset all windows update components. Then, Restart your PC and try to update again. Hard Disk problem is another reason for this type of update related errors. In this case, Running chkdsk command may help you to get rid of your problem. To use this command, follow these instructions. 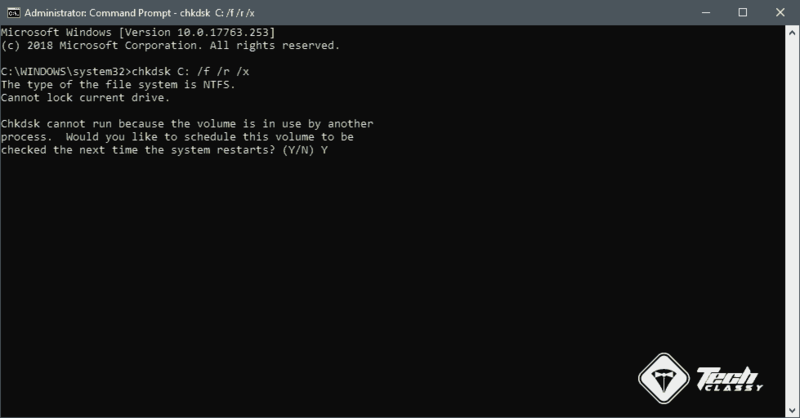 At first, Open the command prompt as admin like before (Method 5). Now, You will have to press Y and hit enter. Then, Restart your PC. It will scan and repair hard disk bad sectors. After that, you may be able to install windows update without facing the error 0x800705b4. Still encountering the problem? You will have to re-install windows 10 with latest ISO. Because, Extremely, Old build of windows may be a reason behind this problem. Hopefully, These tips will help to repair update error 0x800705b4. If you still face the problem, You may have to re-install windows 10 with latest ISO. Because, Extremely, Old build of windows may be a reason behind this problem.